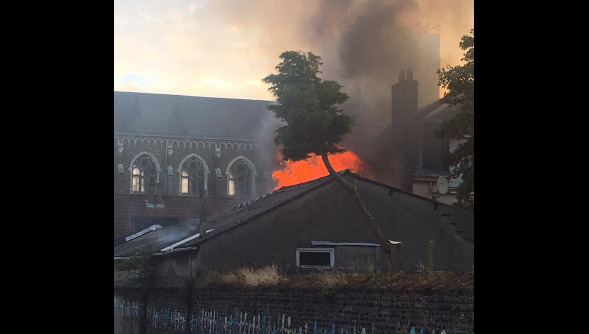 At 6.45 a.m. of last Tuesday 12 July, firemen were alerted of the flames coming out of an evangelical church in Calais (Nortwest of France). 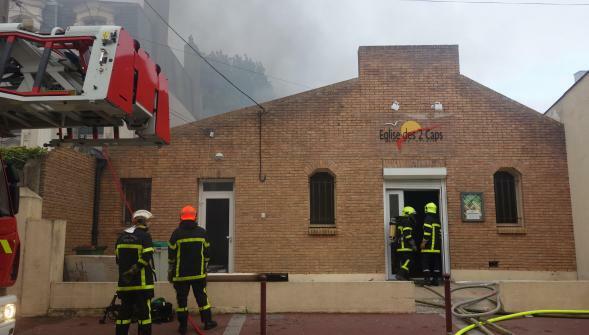 According to local newspaper Nord Littoral, the fire had destroyed several areas of the building and caused 300 square meters of the ceiling to fall. No one has been hurt. The cause of the fire, the media said, could have been a technical problem in the electrical installation. But a criminal action has not been discarded. The pastor and other church members had been helping to organise a Christian community inside the so-called “Jungle of Calais”, according to France 3. Churches and Christian NGO’s visited the camp regularly to help migrants and asylum seekers waiting there for a chance to travel to the United Kingdom (through the Eurotunnel). The destruction of the fire has been a “shock, but I hope that it helps to unite us even more”, Boinet told Evangeliques.info. The main need for the church members is to find a new place to gather temporarily. The current police inviestigation has left the possibility of a “criminal cause” open, although “no author has been identified so far”. The Minister of the Interior Bernard Cazeneuve expressed his “sympathy and support for the religious representatives and members” of the evangelical church. If it is confirmed that the fire was intentional , “everything in our hands will be done to bring justice” and “punish” the authors, he said. “The determination of the public authorities is to protect the places of worship of all confessions across France”, Cazeneuve said. The National Council of Evangelicals in France (CNEF) also expressed its solidarity with the evangelical church in Calais. In a statement, the representatives of French evangelicals expressed their support in prayer and legal means and said they would be “especially attentive to any violation of the religious freedom and the freedom of speech in the country”. 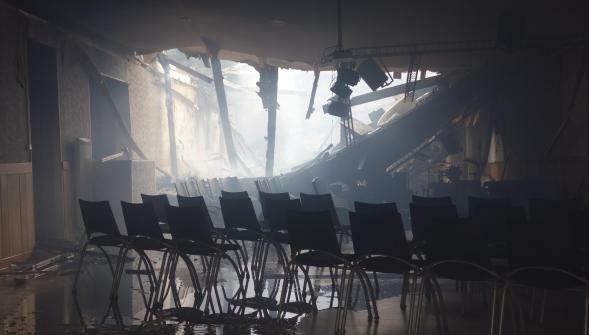 The CNEF also pointed to the fact that the building in Calais is the second evangelical church burned in France in only two months. On May 18, an evangelical church in Manosque was attacked. It also was an Asemblies of God church. It is “extremely regrettable that places of worship become targets of delinquency”, the CNEF said then.